Shake Up YOUR Audience – With Earthquake Marketing! 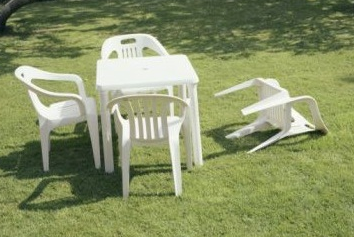 By all measures, yesterday’s earthquake was a whole lotta nothing – a few bricks loose, some cracks in buildings, overturned lawn chairs. Really, a non-event, especially for folks in more earthquake-prone areas, like the West Coast of the United States. A yawner. Nonetheless, it lit up social media and the news. Why? Because is was a whole lotta something different for its audience! I’ve spend most of my life in the eastern US (along with 7 years in Tennessee). Before yesterday, I had felt a total of two very minor earthquakes – pretty local events. And when yesterday’s event occurred, I wasn’t even certain what was happening – I just thought I was momentarily dizzy. Until I went onto Facebook and saw “Was that an earthquake? ?” popping up all over half the country. Much to the amusement of other parts of the country and world, we felt a need to share our experience. Because it was something new to most of us. The earthquake got viral news attention, not because it was all that great a quake, but because it “knew” its audience – “these people haven’t had a good shaking for a long time! Watch this!” A big thunderstorm would not have gotten near the attention. That’s old news here. Moving ground? That’s worth talking about! I was evaluating a small company’s website this week. It said a whole lot of nothing. I found myself thinking, “all you have to do is swap out the company name, and this site is interchangeable with who knows how many other companies.” Nothing different = forgettable. A list of bullet points is a passing shower, not an earthquake. Nobody’s talking about you. As a marketer, think about your audience before you make a decision about trying to create impact. What is old for you might be brand new for them – or vice-versa. Is your approach something different? That, in itself, can help break through the clutter. >> The Unglamorous Need for…Semantics!